I lived in Boston for 6 years and one of my favorite things was seeing all of the window boxes fill up with flowers after the long winters were coming to an end. Especially in Beacon Hill, where gardens are scarce, people really went to town. We’ve had a sad, smelly window box that’s been empty for a year now other than in its use as a litter box for one of the local cats. Just what you want when you walk out your front door. In my attempt to become a gardener this week I figured it would be a good spot to tackle first. In doing a little research on window boxes, I really liked one I found on a blog called Brooklyn Roof garden. I love the Spring tulips combined with the natural looking ivy hanging down. Alas, I live in Boulder and flowers are not so easy to come by just yet. I get it, Mother’s Day really is when I need to plant and when plants become more readily available. I went to McGuckin Hardware, Sturtz & Copeland and finally Home Depot, where I did find some bright, cheery narcissus and a few white tulips. The English Ivy will have a ways to grow, but all in all it’s a huge improvement. I also planted some cerastium to cover up the concrete wall by the front door. 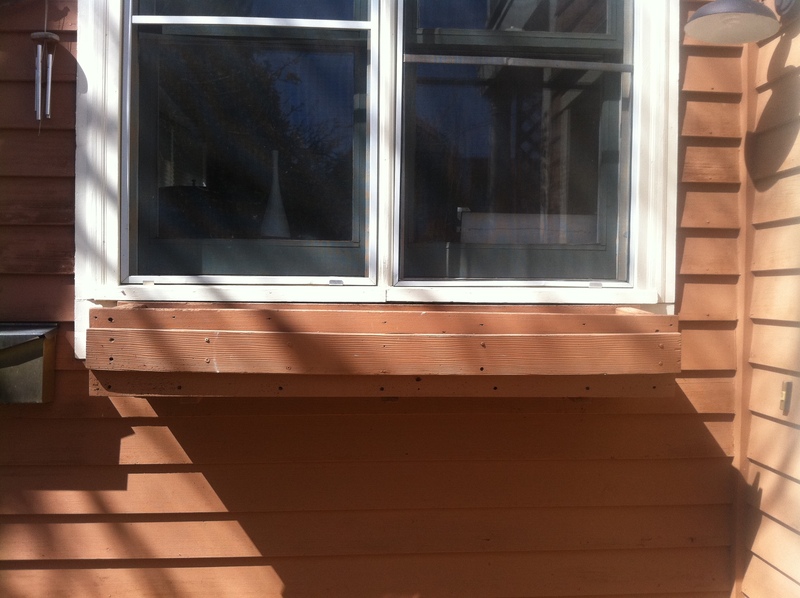 After the Spring flowers are done, I will likely replant the bulbs in the front and turn the window box into an herb garden. There were a couple of natural looking herb gardens I liked from Smith & Hawken whose products are now being sold through Target. I’ll also be better about remembering to water it if it’s right by the front door. If you don’t want to take on a whole landscaping project, window boxes really are pretty rewarding and not too hard to do. Congratulations on your window box — it looks great. 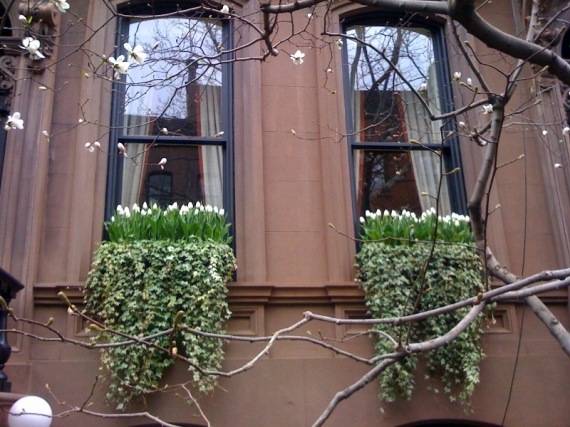 I’m so glad my photo of West Village window boxes inspired you! You are currently reading starting small at 52 To Do.